Mysterious, magnificent, yet rarely visited, Papua New Guinea can seem both irresistibly exotic and impossibly remote. By joining one of our expedition cruises, however, all logistics are taken care of as you set sail on a voyage rich in culture, history and natural beauty. Both of our cruises begin with a charter flight from Cairns to Madang in northeast PNG. You have a choice of either a pioneering exploration of the 1,126km Sepik (the longest river in New Guinea) or a wider-ranging cruise along the island’s northern coast which culminates with a crossing of the Coral Sea and disembarkation in Cairns. With active volcanoes rising above the largest area of intact rainforest outside of the Amazon, and a coastline fringed with some of the world’s most dazzling, biodiverse coral reefs, Papua New Guinea is a natural treasure chest. Around 3,000 varieties of orchids festoon its secret forests, which are also home to 700 bird species, including the flamboyant birds of paradise. 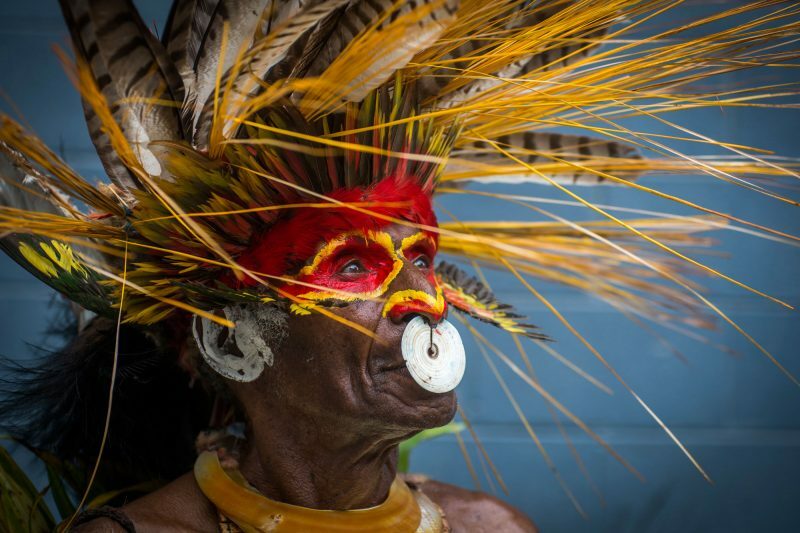 Papua New Guinea’s culture is just as colourful and fascinating. Home to hundreds of tribes, it’s a linguistic melting pot of over 840 indigenous languages. During stops on your expedition cruise, friendly locals will paddle dugout canoes to greet the ship, while village visits offer a privileged opportunity to meet remote island tribes and find out about their culture through craft markets, dancing performances and the ubiquitous ‘sing-sing’. Other highlights of an expedition voyage in Papua New Guinea include a chance to visit pristine reefs for some of the world’s finest snorkelling and diving. You can hop in a local outrigger and be paddled through the rainforest-lined creeks of Tufi Fjord, visit the hot springs of Dei Dei and land at Buna Beach, the site of some of the toughest fighting during the Pacific campaign of World War II.